Air dominance is important not just for the air force but every other branch of the military. To get a better idea of how important it is, I contacted an active pilot in the United States Air Force. I was able to interview him over the phone, and then meet with him for dinner in Sumter, South Carolina, which is just outside Shaw airforce Base. I only posted some of the stories told by Major Hanford, but believe me, it was one of the most interesting dinners I have been able to be a part of. Major T.O. 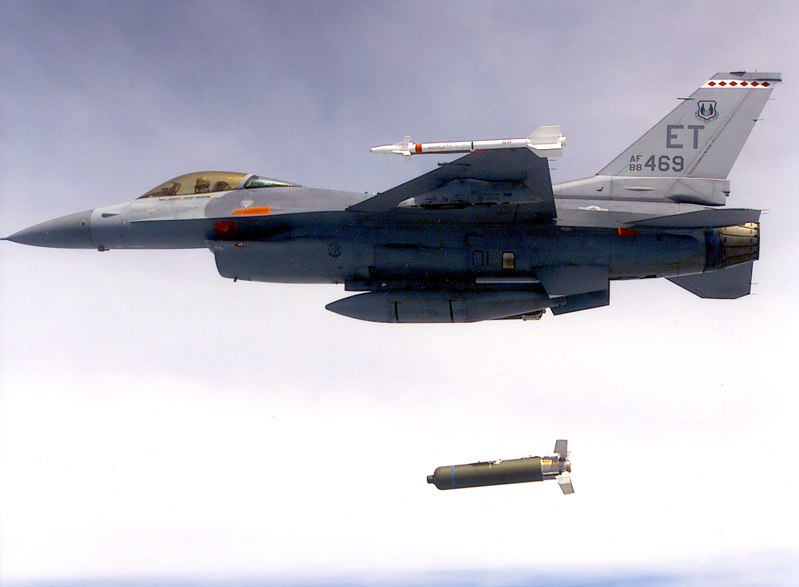 Hanford, Flown 2600 hours in F-16, 400 being Combat. Participated in the Allied force program in Bosnia and in Operation Iraqi Freedom. Currently he is a Wild Weasel flying the F-16 C/J soon to be deployed to Japan. Q: Is the F-22 Raptor going to be an important addition to the United States military? A: Yes, the Raptor assures air dominance. We can not afford for another country to gain dominance in the skies. If you own the skies, you will win the war. Q: Is the money put into such projects really worth it? A: Without a doubt. By maintaining air dominance you are able to protect the troops on the ground. Without the support of air power, troops would be forced to locate, and destroy enemy tanks, strongholds, and troops on their own. Thus putting money into the Air Force, in turn is putting money into saving the lives of the men and women fighting from the ground. Q: Are there any current planes that present a serious threat to the F-15, being that it is the superior aircraft in the Air Force? A: The Russian's SU-27 can be a dangerous adversary, but due to our superior avionics technology it has not become a serious threat yet. With the two new planes coming out, the SU-35 and SU-37, we dont know how much improvement they will make. If it is significant, which is possible, then yes it could be a threat to the F-15. That is why the United States continues to research and develop aircraft that can maintain the dominance and thus continue the protection of ground troops. You don't want to go into a tennis match with the stakes even, it is always nice to have an advantage, especially when the lives of your friends are on the line. Q: Were you involved in the rescuing of Scott O'Grady, the pilot that went down over Bosnia? A: Yes, after the completion of a mission, my wing man and myself flew over the target area several times, and luckily found his signal. We were then able to direct a rescue team to Scott's position for his extraction to safety. For those of you that don't know, Scott O'Grady was shot down over Bosnia during a routine patrol. He was presumed dead upon a missile impact. But Hanford felt that he owed it to a fellow pilot and friend to double check on this. He was able to locate Scott while avoiding a SAM site. O'Grady had been on the ground for five days, and was within feet of enemy troops. He now tours America retelling his survival story.